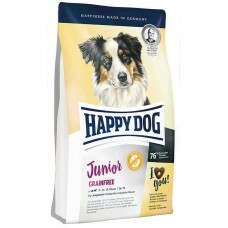 These days an oversupply of protein and fat is often the trigger for a variety of chronic illnesses in our dogs – especially when they are not getting enough exercise! 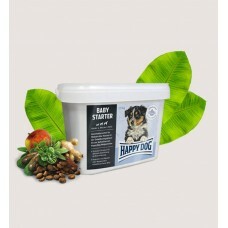 Relief is provided by a balanced and not overly rich food, which meets the actual needs of an averagely active dog. 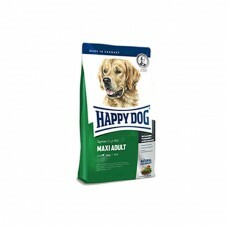 Happy Dog Maxi Adult contains 5 top quality highly-digestible protein components and an appropriate 12% fat with vital unsaturated Omega 3 and Omega 6 fatty acids from highgrade animal and plant sources. 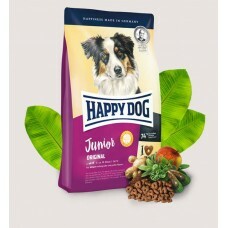 The special recipe in suitably sized croquettes with the unique Happy Dog Natural Life Concept® made from natural ingredients and supplemented with original New Zealand mussels is perfect for all adult dogs over 26 kg. 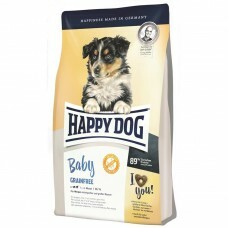 The energy content of Maxi Adult is matched to the natural desire for 2-3 hours exercise every day. If the recommended amount is given, it will prevent overfeeding and the resulting problems.